HSV has done it again! As part of its substantially upgraded new Z Series range, Australia’s leading innovator in performance technology has unleashed another piece of awesome performance hardware – the 6.0 litre LS2 V8 engine. 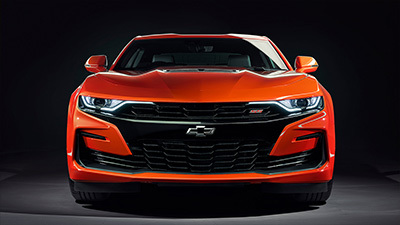 In a stunning coup, HSV is able to offer local customers exclusive access to the remarkable benefits of GM’s very latest all-new Gen IV V8 powerplant just weeks after it made its world debut in the new US market C6 Corvette. HSV has worked closely with GM powertrain engineers, along with its Holden partners, to adapt this brand new engine to fit its premier performance range and adjust it to suit local conditions. With 297kW @ 6000rpm (305kW DIN) and 530Nm @ 4400 on tap the results are impressive, and the best news it this state-of-the-art power unit is standard for all Z Series RWD models, along with WL Grange and GTO Coupé. While the introduction of the high output 6.0 litre LS2 was always going to steal the majority of the limelight, there is still plenty more to talk about when it comes to HSV’s Z Series. Indeed along with the new engine, virtually the entire drivetrain has been upgraded and is now very much unique to HSV. In typical HSV fashion exterior styling makes a major statement with Z Series. Importantly, there is now a much clearer division between relevant models within the range. ‘Sports Performance’ continues HSV’s traditional aggressive, exuberant, in-your-face styling for Maloo, Maloo R8, ClubSport and ClubSport R8 while there is now a marked difference to the more sophisticated, Euro appearance of the ‘Luxury Performance’ models – Senator, Grange and GTO Coupé. Just a few years ago 19-inch wheels were reserved for the likes of HSV’s GTS and imported supercars. However, for Z Series a freshly designed range of 19-inch alloy wheels and 245/35 ZR19 tyres become standard on all RWD models providing sizzling looks and performance to match the mighty 6.0 litre LS2 engine. In recent models HSV has gained notoriety for its luxury appointments as well as its performance credentials and Z Series is no exception. Interior specifications on all models have been updated with premium quality materials that are more sophisticated in appearance and more luxuriant to touch. Senator and Grange step into the realms of the truly lavish with an interior trim specification that combines a superb new full grain supple leather and a sumptuous suede. And, this combination is available in a choice of two interior colours. Thanks to HSV engineers the Maloo models once again claim a number of ‘firsts’ for a local sports ute with the launch of Z Series. For the first time customers can enjoy the benefits of 19-inch wheels and tyres, along with Traction Control and Multi-link independent rear suspension – and all of these features are totally exclusive to Maloo models! Combine them with the outstanding performance of the 6.0 litre LS2 and you get a Maloo that’s even more controllable and enjoyable in a wider range of driving conditions. A simplified model line up is also big news with the Z Series. Beyond ClubSport, HSV enthusiasts now have the simple choice of either more performance with R8, or more luxury with Senator. The Signature name is being rested with Z Series, making way for a new Senator specification for about the same price as the harder edged ClubSport R8. 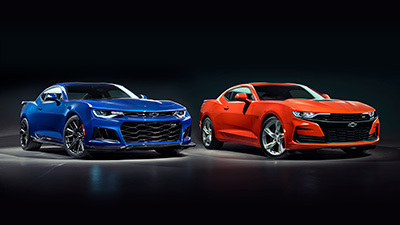 The substantial list of exclusive updates seen on Z Series – in performance, appearance, quality and luxury – are positive proof of HSV’s relentless march towards greater differentiation from its Holden relatives and its determination to offer more sophisticated models backed with traditional hard edge performance. 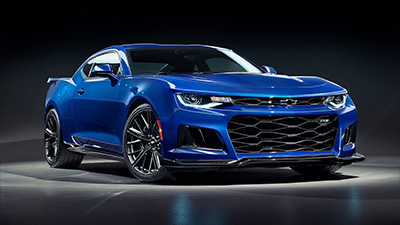 As part of the fourth generation of GM small block V8 engines the 6.0 litre LS2 is the latest evolution of a spectacularly successful performance formula and a major step forward. The new engine was earmarked to debut in the recently released C6 model Corvette but it also had the ideal specification package for HSV’s own performance philosophy. The HSV engineering team took on the major role of developing it to fit the Z Series range which included recalibrating the operating parameters of the engine management computer to suit local conditions and to deliver serious ‘all round’ V8 performance. As part of HSV’s now exclusive drivetrain the LS2 lives up to its rich performance heritage by producing 297kW @ 6000rpm (305kW DIN) and 530Nm @ 4400 – an increase of 12kW and 20Nm, respectively, over the LS1 engine. As impressive as these figures are they simply don’t prepare you for the Z Series driving experience. The HSV enhanced LS2 displays a smooth and refined nature but its remarkably flat torque curve ensures that there are tremendous reserves of traditional V8 ‘grunt’ on tap virtually whenever and wherever the driver requires – just squeeze the throttle and go! • Tremec M12 six-speed manual transmission – as fitted to the Corvette – incorporating triple cone synchromesh (for a quicker, smoother and more enjoyable shift action) and lower ratios. • Heavy duty Corvette C6 type clutch with higher clamping pressure. • Unique safety feature which requires that the clutch be depressed before the engine will start. 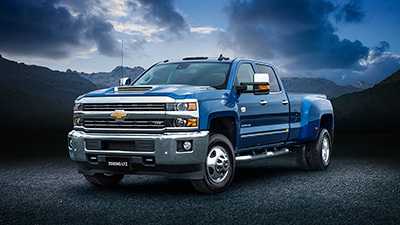 • Upgraded Turbo Hydramatic 4-speed 4L65E HMD automatic transmission featuring detailed internal modifications, a 10% higher stall torque converter and a smarter torque converter lock up clutch. Calibrated for a quick, firm, precise shift feel in response to customer feedback. LS2’s broad torque output makes the ‘Power’ mode unnecessary and so is deleted. • Tail-shaft diameter increased from 54.1mm to 60mm and wall thickness by 0.2mm. • HSV engineers develop a totally new tail-shaft for the Maloo and long wheel base WL Grange. • The unique-to-HSV differential incorporates a 3.46:1 ratio for manual and automatic. • The differential gear set is now shot peened for greater strength and durability. • The rear axle half shafts are strengthened with two plunging joints instead of one. • Latest generation Bosch ABS 8 system, including Electronic Brake Force Distribution. • HSV’s Performance Braking package up-rated with more rigid C6-type twin-piston front callipers for a higher clamping force and increased brake pedal feel. • Responding to customer requests the race-bred HSV - AP Racing Six-Piston Brake System is now optional on Maloo R8 and ClubSport R8. More than ever HSV’s Z Series models mark a clear demarcation between the company’s traditional ‘Sports Performance’ models and the sophisticated overtones of the ‘Luxury Performance’ models. It’s a factor that is clearly reflected in the captivating on road presence of the respective models. The ‘Sports Performance’ face of Z Series is represented in the aggressive, street-wise visual cues found in the new body styling package for Maloo and ClubSport models. Prominent twin bonnet lines flow through the trademark twin nostril HSV performance grille to the blacked out lower intake. Road presence is further emphasised with the use of deep, wide-set, black driving light surrounds which flow from the outer headlamp line to create a typically aggressive HSV appearance with a greater impression of width. It’s complimented by new, more crisply defined headlights incorporating twin horizontal rows in the parking lights. The new front facia integrates more powerfully into the side elevation where the side skirts are now body coloured. New HSV-unique fender vents add to the side view aggression factor and are finished in body colour with black mesh and an inbuilt repeater lamp. At the rear, sedan models boast a new, more integrated spoiler and detailed changes to body accent colours while Maloo models continue with their own bespoke rear end appearance including ice-cool twin exhaust outlets. All Z Series models gain tremendous additional kudos from the fitment of 19-inch alloy wheels and wider Pirelli P Zero 245/35 ZR19 tyres. The two striking new styles – five-spoke for Maloo and ClubSport and multi-spoke in ‘Chrome-shadow’ for Maloo R8 and ClubSport R8 – are both open spoke designs which highlight the awesome HSV braking packages and HRT-red painted callipers. 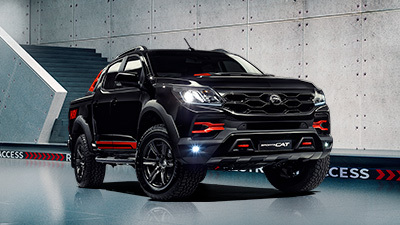 Despite its more elegant overtones the Senator’s Luxury Performance styling package still delivers enormous HSV road presence from its deep facias, huge 19-inch, ten-spoke multifaceted alloy wheels and low sporting stance. Changes for Z Series have added an even greater air of European sophistication that can clearly be seen in the bespoke front facia design which uses a chrome grille and chrome highlighted lower intake. Twin chrome detail elements on the fender vents and driving light surrounds are also picked up in the twin horizontal rows of the parking lights. The HSV unique fender vents are finished in body colour with blacked out mesh, twin chrome bars and a repeater lamp. Senator is now a totally distinctive and more subtle package that’s going to prove very difficult to ignore for traditional buyers of premium European models. To provide a clear warning of the performance potential under the bonnet all Z Series models feature sophisticated new badging highlighting the LS2 engine, its 6.0 litre capacity and its exclusivity to HSV. Several new colours join the range, including Odyssey Grey, Barbados, Impulse Blue and Turismo on GTO Coupe. The individual character of the Sports Performance and Luxury Performance themes seen on the exterior of Z Series models are also carried over to the interior. However, though the themes differ, HSV’s underlying drive towards using premium quality materials is the same. ClubSport and Maloo models feature a new cloth trim material called ‘Orbit’. Its three-dimensional appearance lends an athletic, technical feel to the interior and is available in two versions of its three-toned shading – grey or red. Each features matching colour keyed stitching and embroidered HSV logo. With the major Z Series interior enhancements, Senator takes another giant leap up the premium luxury ladder with an interior that is a cut above that of many cold and impersonal prestige imports. The sumptuous cabin environment is created by a distinctive combination of two new premium quality materials used across seats and door trims. Most seat surfaces and the door armrests are covered with premium quality Full Grain Nappa which has been dubbed ‘soft-feel’ leather. It’s a premium supple grade non-embossed leather (as opposed to the most commonly used automotive leather which is a ‘corrected grain’ or embossed product). HSV is the first Australian manufacturer to use this product which is also seen in several high-end prestige European brands. As the soft-feel name suggests, this plush material really is exceptionally soft to touch and here, it has been tautly trimmed for an even more elegant appearance. Centre seat inserts and door trims are finished in Lismore suede – a luxuriant, velvety perforated suede that looks so good it just begs to be touched. It’s also hardwearing, has good grip to minimise occupants sliding around and can breathe via its perforations for greater comfort. For Z Series Senator two distinctive versions of this luxury trim are available. The first sees an ‘Anthracite’ upper dashboard combined with a ‘Light Reed’ lower section and seat trim to create a very appealing, two-tone, traditional premium luxury environment. The second option is monotone dark ‘Anthracite’ throughout where perforation in the Lismore suede and the various textures of the different materials provide subtle variations in tone that work together to create a prestige, sporting European feel. Along with the sensational 6.0 litre LS2 engine and upgraded drivetrain, Z Series ClubSport and ClubSport R8’s new HSV ‘sport performance’ body styling package and interior creature comforts are set to reinforce the pair’s position as prime choices amongst performance car enthusiasts. • HSV enhanced 6.0 litre LS2 V8. • Tremec 6 speed M12 manual transmission with heavy duty Corvette C6 type clutch. • 3.46:1 differential ratio, complete with shot peened gear set. • HSV Performance Brake system upgraded to C6 twin piston callipers. • Z Series ‘HSV Sports Performance’ body styling package. • New ‘Orbit’ cloth trim. • ‘Nickel Pearl’ dashboard highlights. • New centre console storage bin. • Net storage pockets behind front seats. • Tremec 6 speed M12 manual transmission plus heavy duty Corvette C6 type clutch. • Optional HSV AP Racing Six-Piston Brake System. • Optional HSV – Ohlins Adjustable Performance Suspension. • Full leather trim in ‘Anthracite’ featuring ‘micro-perforated’ leather seat inserts. • Centre console stack twin gauge HSV binnacle. For many years HSV’s Maloo super ute has led the market with innovation, and has challenged the perception of what a sports pickup ought to be (eg. climate control air conditioning) in this respect the Z Series Maloo is again the big winner. Maloo buyers needn’t do without any luxury or safety features over their sedan counterparts with three new and exclusive HSV ‘firsts’ being added for Z Series, in the form of 19-inch alloy wheels and 245/35 ZR19 tyres, Traction Control and Multi-link independent rear suspension. Previously, Holden’s ute models (and hence Maloo) have not been configured to allow Traction Control to be fitted. However, since they needed to develop a unique main wiring harness for Maloo anyway (as with all Z Series models), HSV engineers decided to put in an extra effort and incorporate Traction Control, too. Along with the necessary wiring changes, the task required considerable modifications to the ABS brake lines to allow speed detection information to be fed back to the ABS module which forms part of the Traction Control system. HSV has also taken the opportunity to adopt the Multi-link independent rear suspension (similar to sedan models). With it, the two extra rear suspension links maintain more precise control of the rear wheel toe change on full bump travel which, in turn, has enabled Maloo models to benefit from the huge footprint of 19-inch alloy wheels and tyres for the first time. Multi-link, itself, contributes to improved turn in feel and the elimination of roll oversteer with a resulting enhancement in overall control in a wide variety of driving conditions. For the many fans of HSV’s high performance ute this is not only the most powerful Maloo ever but also the ultimate in handling, safety and, importantly, driving enjoyment. The enhancements seen for Z Series have delivered a Senator model that’s even more distinctive than ever. Its luxury ambiance is a match for the best prestige competitors, yet they offer only a fraction of its performance potential at a price that’s considerably higher. Z Series also brings a very aggressive price positioning of HSV’s luxury Senator model at an RRP of $71,990. That brings it in close proximity to the ClubSport R8 so that HSV customers looking to step up from ClubSport now have a very simple choice – the hard edged sports performance of the ClubSport R8 or the elegant sophisticated performance of the Senator. Whichever choice they make they can’t lose! • Upgraded Turbo Hydamatic 4L65E HMD electronic four speed automatic. • HSV Performance Brake System. • Latest generation Bosch ABS 8 system including Electronic Brake Force Distribution. • HSV Luxury 3 suspension tune including HSV “Level Ride” rear self levelling. • Z Series ‘HSV Luxury Performance’ body styling package. • HSV Rear Park Assist. • HSV Performance Seats with eight-way power adjustment. • Premium interior trim combination of ‘Lismore’ suede and ‘soft-feel’ leather. • Choice of two interior colours – ‘Anthracite’ or ‘Light Reed’ combination. • ‘Cyber Carbon’ dashboard highlights. In conjunction with the launch of Z Series, HSV’s luxury limousine flagship the WL Grange also benefits from a number of key upgrades including the 6.0 litre LS2 engine and exclusive HSV drivetrain. The purposeful elegance of the exterior styling is further enhanced with HSV unique fender vents (body coloured with black mesh, twin chrome bars and a repeater lamp), ten-spoke 19-inch HSV ‘luxury’ alloy wheels in chrome shadow and 245/35 ZR19 Pirelli tyres and advance technology LED stop lamps which illuminate more swiftly, giving following drivers extra reaction time. A front Near Object Detection System joins the rear system to further assist when parking. However, the biggest news can be found in the Grange’s palatial interior where there’s new rich leather upholstery materials (which mimics the elegant combinations seen in Senator but on a grander scale) and, for the first time, a choice of two distinct colour treatments. HSV Full Grain Nappa (dubbed ‘soft-feel’ leather) can be found on most seat surfaces and the door armrests. This premium grade non-embossed leather is imported from South Africa and HSV is the first Australian manufacturer to use this product which is also seen in several high-end prestige European brands. As the soft-feel name suggests, this plush material really is exceptionally soft to touch and for Grange has been tautly trimmed for an even more elegant appearance. Centre seat inserts and door trims are finished in Lismore suede – a luxuriant, velvety perforated suede. It’s also hardwearing, has good grip to minimise occupants sliding around and can breathe via its perforations for greater comfort. HSV now give Grange buyers to choice of two versions of these lavish trim materials – an attractive union of a ‘Reed’ upper dashboard with a ‘Light Reed’ lower section and seat trim. Or the second option of ‘Anthracite’, which in the same vein as Senator, creates a European sports style interior. Dashboard highlights are in ‘Cyber Carbon’, HSV floor mats are standard and behind the front seats are net storage pockets. Whichever way you look at the Grange, it remains a unique proposition on the Australasian market. Few competitors can match its extensive list of standard luxury features, including dual zone climate control air conditioning with rear seat controls, Blaupunkt premium sound system, a sophisticated DVD Entertainment system complete with seven-inch screens built into the front head restraints and a tyre pressure monitoring system. Fewer still can match its cavernous interior accommodation. And none (short of doubling its price or more!) can match the superior performance of its LS2 engine (297kW @ 6000rpm and 530Nm @ 4400). Once again it’s difficult to find legitimate competitors for HSV’s long wheel base flagship and with production numbers set to be limited the WL Grange will be a very exclusive and rewarding drive, indeed. • 19-inch, ten-spoke chrome shadow luxury alloy wheels. • HSV Prestige suspension tune including HSV “Level Ride” rear self levelling. • HSV specific steering rack. • HSV Prestige Seats with eight-way power adjustment. • Choice of two interior colours – ‘Anthracite’ or ‘Reed and Light Reed’. • Dual zone climate control air conditioning with rear seat controls. • Blaupunkt premium sound system. • Built in DVD Entertainment system. Since its release the GTO Coupé has remained high on the wish list of performance vehicle buyers and it’s set to stay well entrenched in that position with the latest list of enhancements. 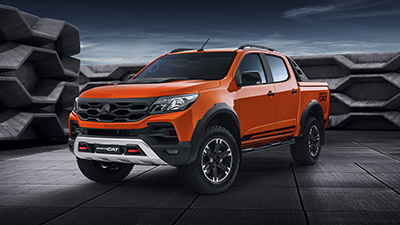 The bold, seductive styling takes on a more predatory appearance via a bonnet featuring twin nostril intakes that blend with the twin port upper and lower grilles. Distinctive 19-inch alloy wheels and 245/35 ZR19 tyres not only look fabulous they also ensure that HSV’s big two door Coupe handles and rides better than ever. Subtle variations to the body accent colours add to the distinctive exterior appearance. Shades of Coupé 4 and a hint to the LS2 performance potential under the bonnet can be found at the rear in the form of ultra-cool quad exhaust outlets. The Coupé 4 style theme continues inside with the addition of a sumptuous full leather interior. GTO Coupé buyers can choose from three different trim colours – ‘Anthracite’, ‘Indiana Red’ and a new ‘Devil Yellow’ alternative. Each trim combination is complemented by classy, twin needle horizontal stitching. Dashboard highlights are now in ‘Nickel Pearl’. Like the rest of the HSV RWD range, the addition of the exclusive HSV drivetrain including the state-of-the-art 6.0 litre LS2 powerplant, has lifted the GTO Coupé performance to an entirely new level. Yet those who demand an even harder edge to their driving experience can now option their GTO Coupé with an HSV AP Racing Six-Piston Brake System and/or HSV Adjustable Performance Suspension (developed in conjunction with Öhlins Suspension). The bottom line is that short of mega dollar imported coupes there are no competitors that come close to offering the comprehensive list of performance and luxury features found in HSV’s GTO Coupé. • 19-inch Chrome-shadow alloy wheels. • Optional HSV Adjustable Performance Suspension. • HSV GTO Coupé body styling package. • Eight way power adjustable front seats – driver’s with memory. • Full leather trim in a choice of ‘Anthracite’, ‘Indiana Red’ or ‘Devil Yellow’. • Dual zone climate control air conditioning.